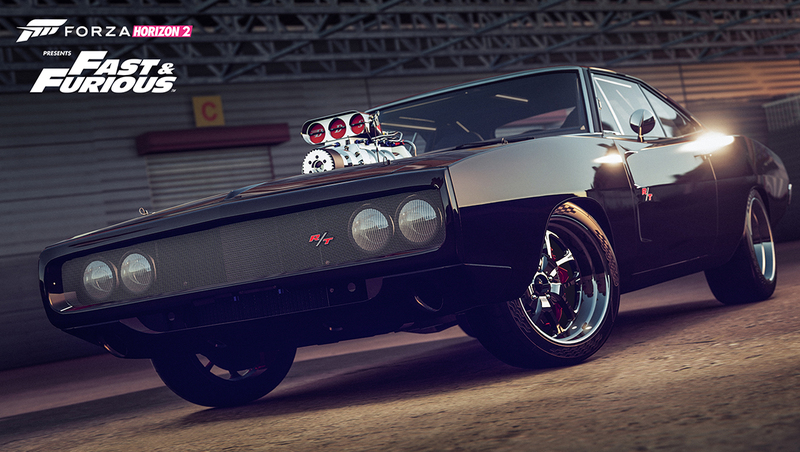 Forza Horizon 2 Presents Fast & Furious Available Now! 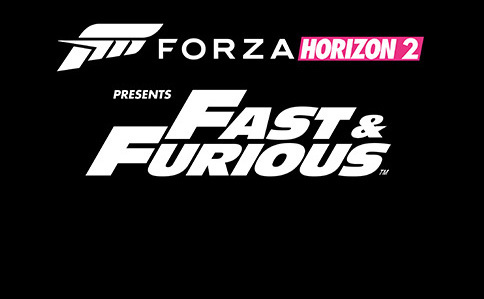 The next great automotive adventure begins with the Forza Horizon 2 Presents Fast & Furious standalone expansion for Xbox One and Xbox 360! For the first time ever, the Forza experience of thrilling driving and amazing cars is combining with the unstoppable Fast & Furious movie franchise to create an original adventure filled with adrenaline-fueled automotive action. 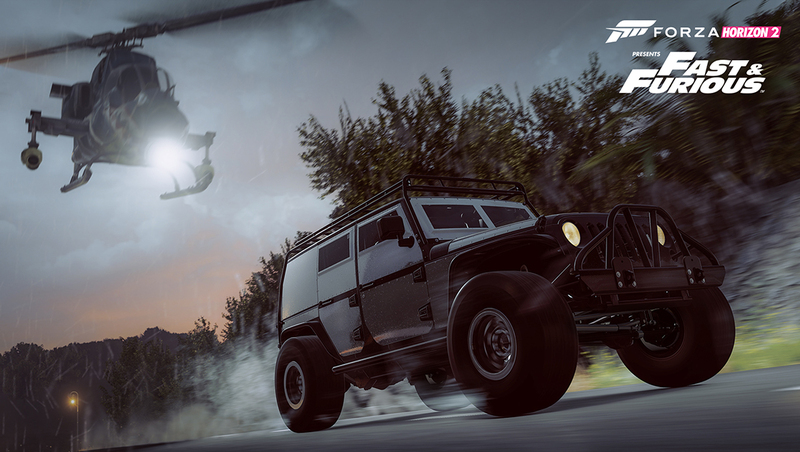 Assume the role of an up-and-coming driver at the Horizon Festival recruited to source cars for the Fast & Furious crew’s next adventure. 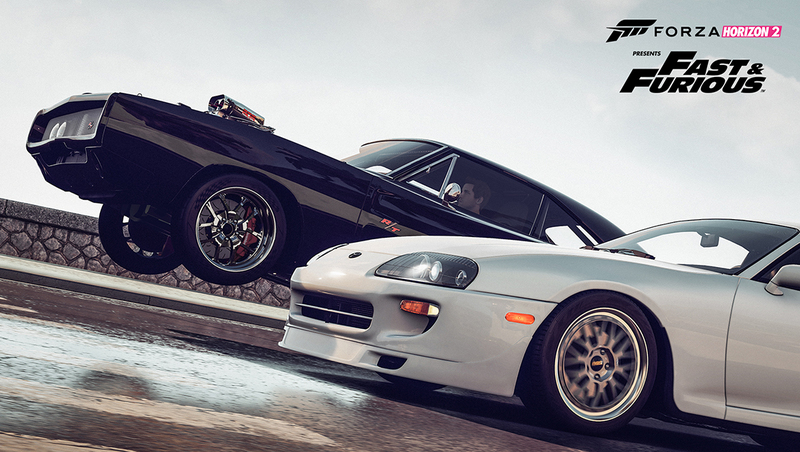 Play through thrilling car challenges inspired by the Fast & Furious movies and Forza Horizon’s legendary gameplay. Get behind the wheel of some of the world’s hottest cars, including the cars from the latest Fast & Furious film, Furious 7! The full car list includes more than ten amazing rides, including the most iconic car from the Fast & Furious movies, the supercharged 1970 Dodge Charger R/T Fast & Furious Edition. The best-in-class Forza graphics engine delivers full day and night cycle, lighting, and visual effects, all running at gorgeous 1080p resolution. Complete in high-stakes street sprints, head-to-head races, and thrilling missions including a land vs. air race against an attack helicopter. Race and explore a beautiful, exotic, and wide-open Southern Europe landscape; from high speed motorways to busy city streets and back-country dirt roads.